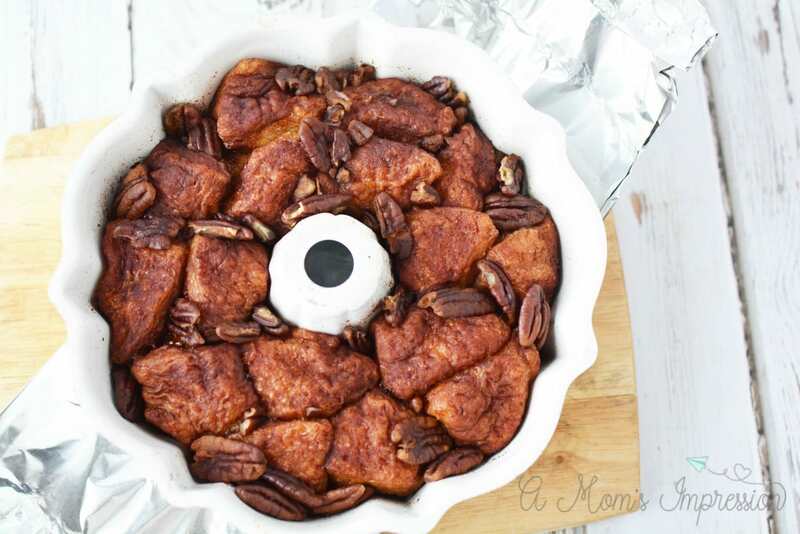 This Easy Instant Pot Monkey Bread recipe is perfect for a quick breakfast or even dessert. You can pull apart each little morsel to feed a crowd with ease. Since we made it with canned biscuits, you can have it ready in just a few minutes time using your pressure cooker. 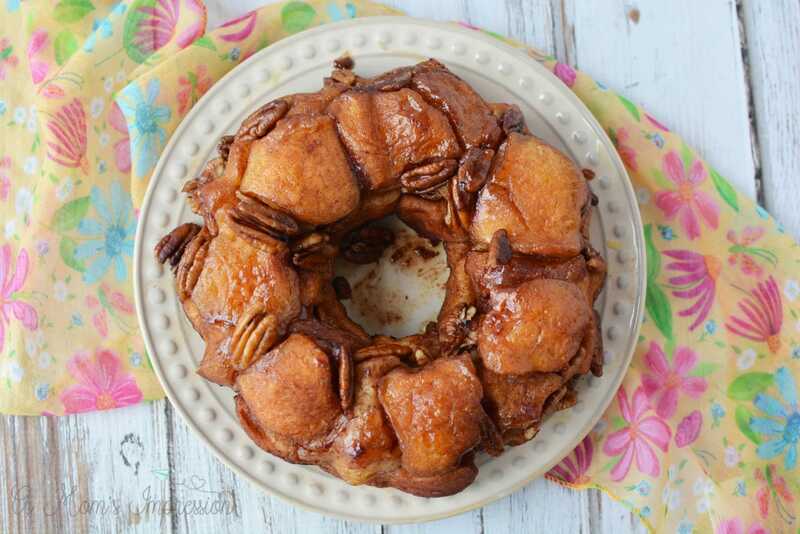 When thinking about all my favorite recipes to convert into Instant Pot recipes, my grandma’s pull apart monkey bread recipe kept coming to mind. 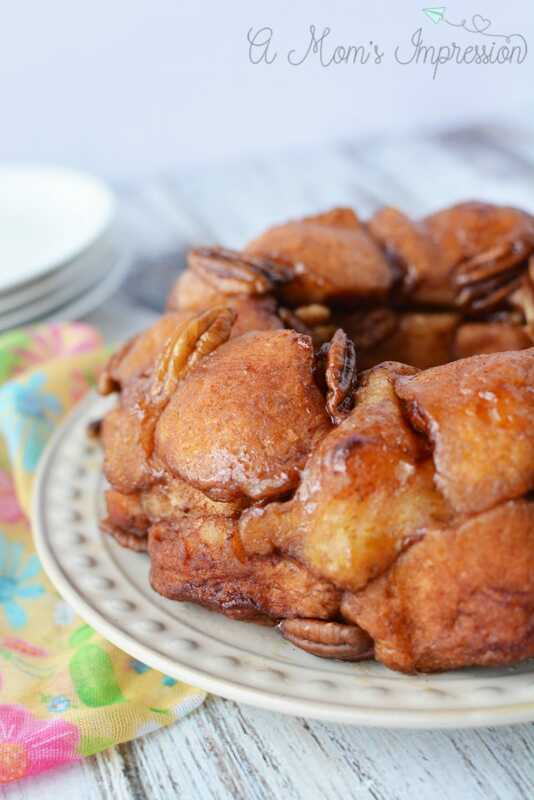 Her monkey bread recipe was my favorite thing to eat for Easter brunch. 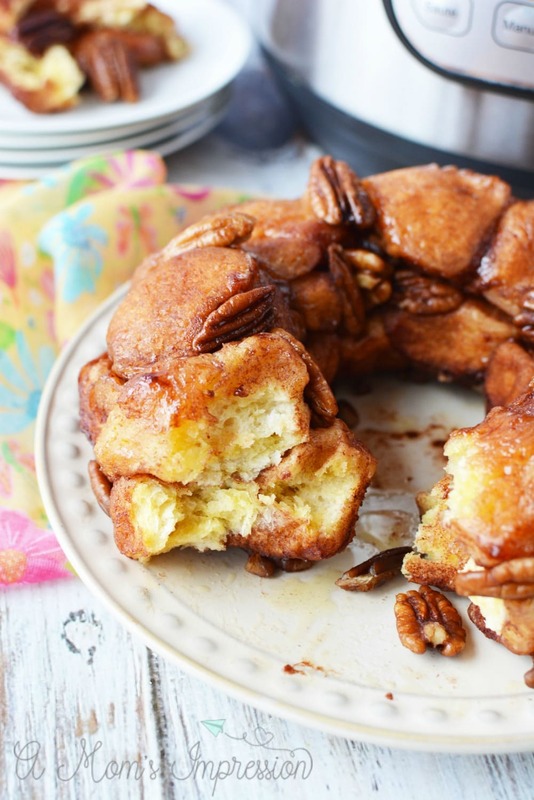 Of course, a good cinnamon monkey bread is good any day of the year, but for some reason, this one reminds me of spring. 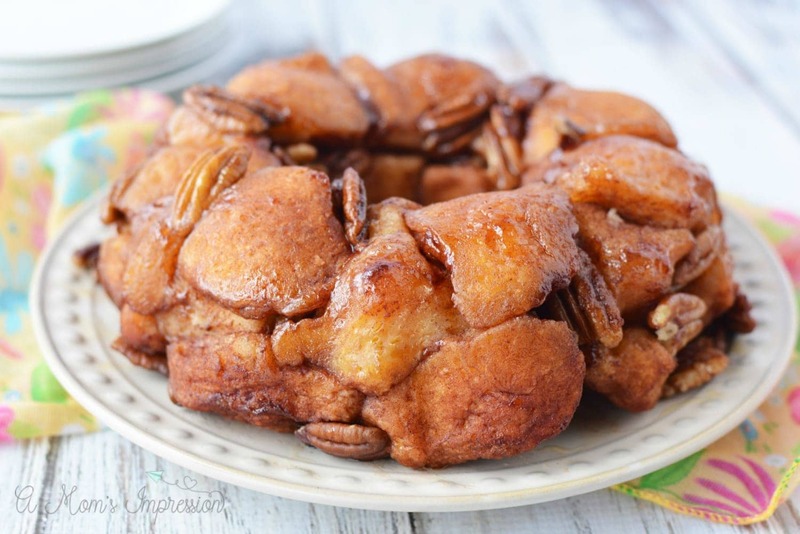 There are several different kinds of monkey bread recipes but they have a few things in common. 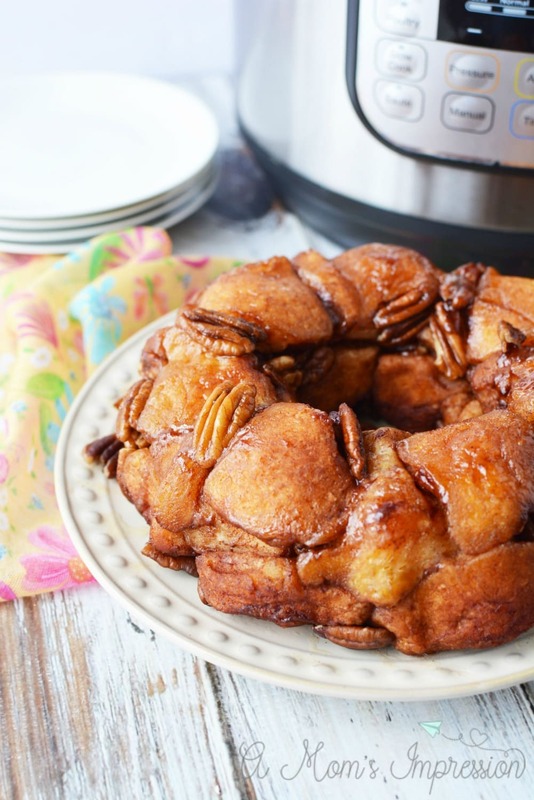 Monkey bread is made from small yeast dough rolled into balls and then combined with a sweet or savory component to make a sauce. 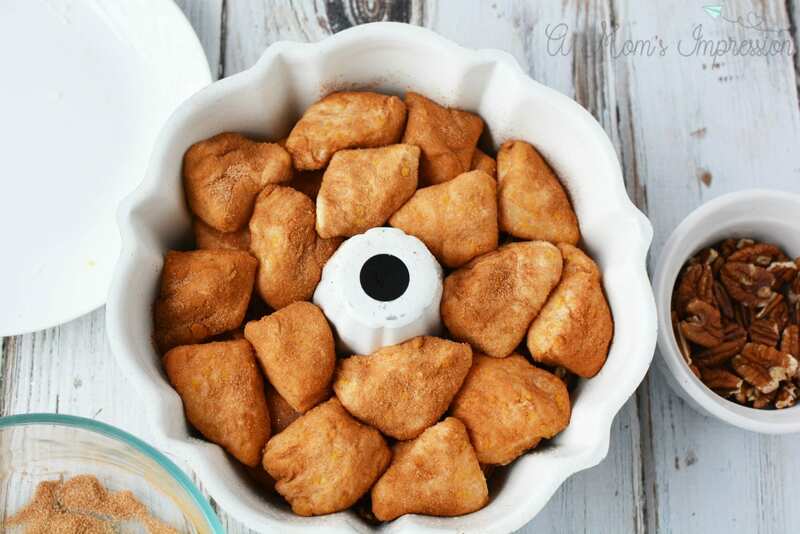 Traditionally these balls are placed into a monkey bread pan, typically a bundt pan, and then baked, but I wanted to see how this recipe would taste in my electric pressure cooker. I’ve been using my pressure cooker for a few years now and can’t imagine what it would be like to not have it. Pressure Cooking isn’t as intimidating as it once may have been. To learn more about the benefits of pressure cooking check out our Pressure Cooker Guide. Breakfast is one of my favorite things to make in my pressure cooker. I love our Instant Pot breakfast casserole and it usually gets made a few times a month. 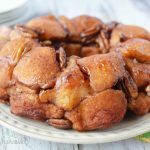 This cinnamon monkey bread satisfies my sweet tooth so it is perfect for either breakfast or dessert! Spray a small, 6 cup bundt pan with nonstick cooking spray. 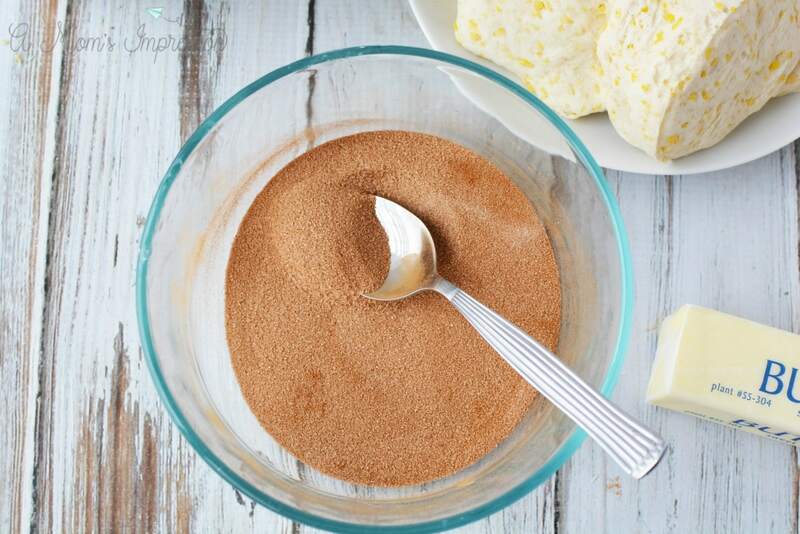 In a small bowl, mix sugar and cinnamon together and set aside. Cut each biscuit in one tube into quarters. I love using kitchen shears for this, they make this task very simple. 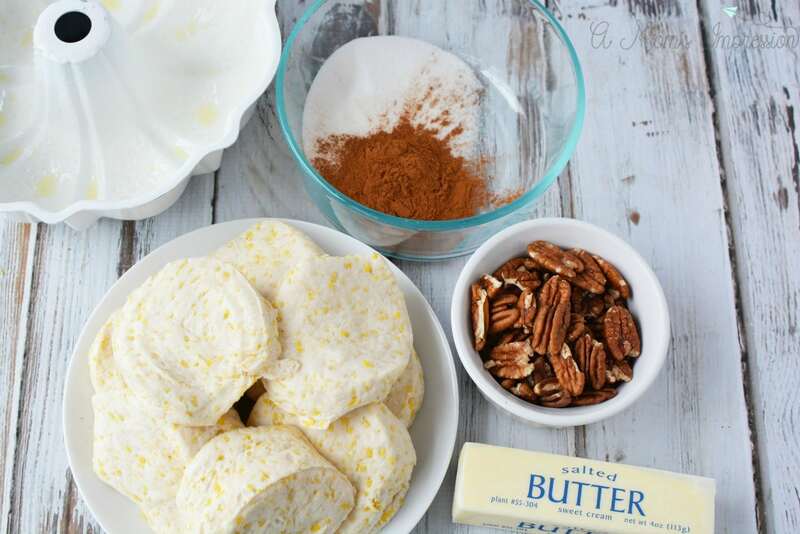 Place each biscuit quarter into the cinnamon sugar mixture and toss to coat. Place into prepared pan. Add half of the pecans to the pan. Repeat with the remaining tube of biscuits and fill the pan. 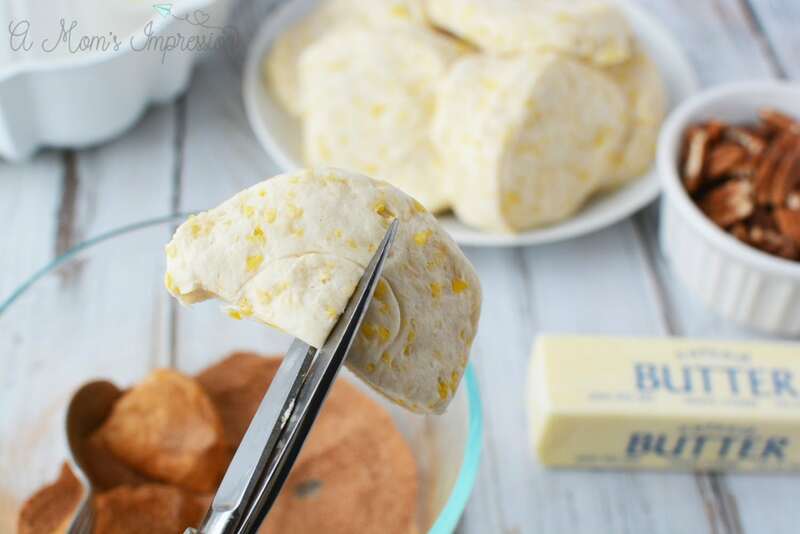 Drizzle butter over the biscuits. Place 1-1/2 cups of water into the instant pot. Place the trivet into the pot. Take a long piece of foil and fold it in half. 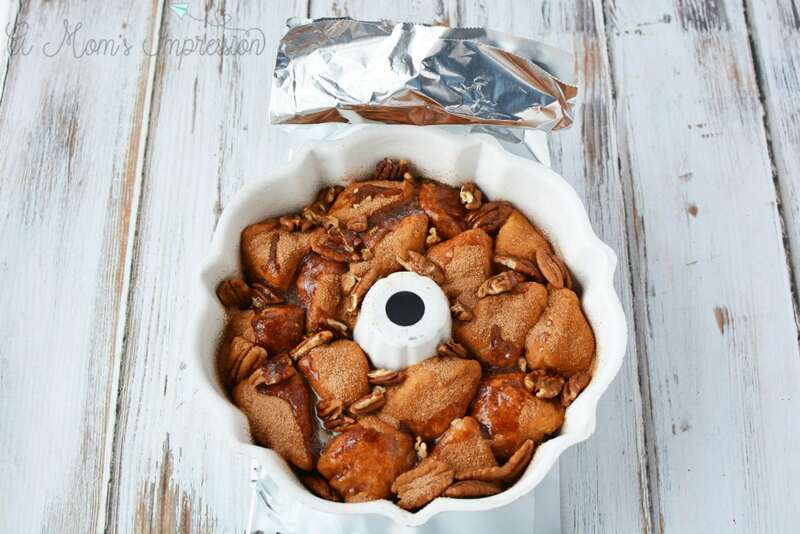 Place the foil under the bundt pan and use it to pick up the pan and place inside the instant pot. Tuck in the ends of the foil so it does not extend beyond the top of the instant pot pan. Place the lid on the Instant Pot and close the pressure release valve. Set the instant pot to manual, high pressure for 20 minutes. When cooking cycle is complete, quick release the steam and carefully remove the lid and pan. Let the pan set for 10 minutes before inverting onto a plate and removing the pan. Let cool just until warm and serve. Cut each biscuit in one tube into quarters. 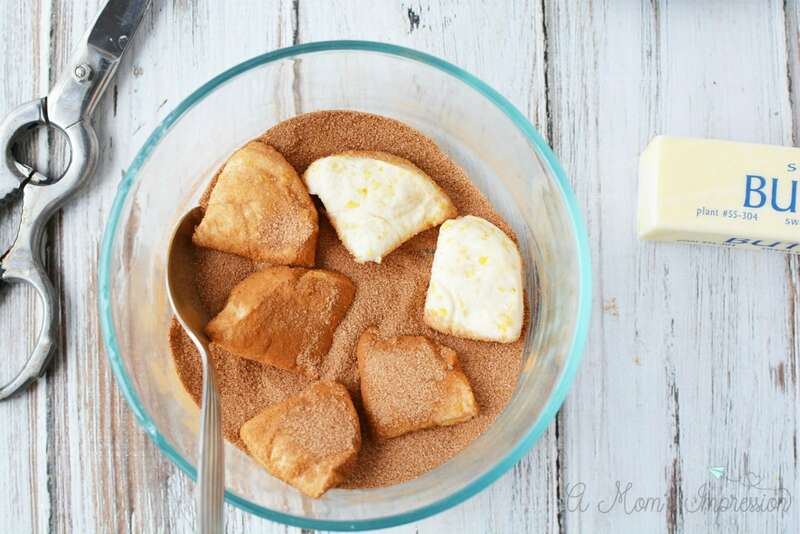 Place each biscuit quarter into the cinnamon sugar mixture and toss to coat. Place into prepared pan. Add half of the pecans into the pan. Repeat with the remaining tube of biscuits and fill the pan. 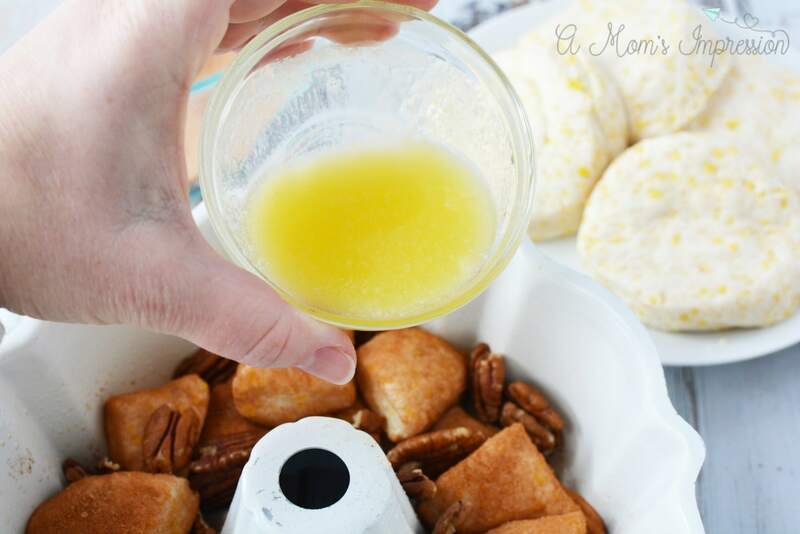 Drizzle butter over the biscuits. Place the lid on the instant pot and close the pressure release valve. Set the instant pot to manual, high pressure for 20 minutes. When cooking cycle is complete, quick release the steam and carefully remove the lid and pan. Let the pan set for 10 minutes before inverting onto a plate and removing the pan. Let cool just until warm and serve. Cooking time does not include time it takes for pressure cooker to come to pressure.